Thanks to some great responses on Twitter and Facebook, I knew the one place I had to go to in Columbus, Ohio was North Market. 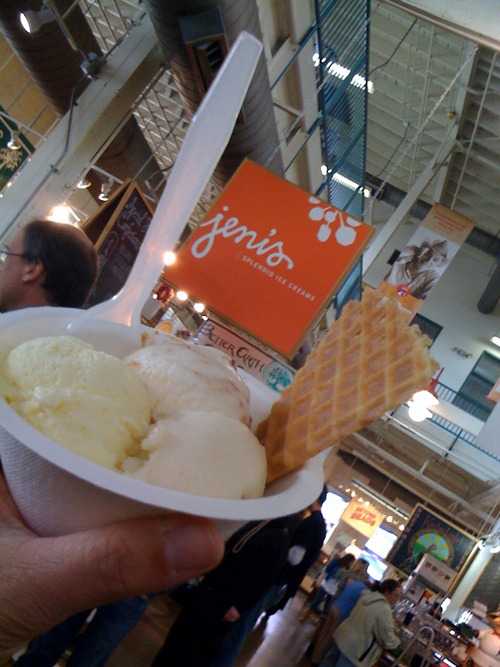 And the spot that was there that everyone mentioned was Jeni's Splendid Ice Creams. They had amazing flavors. 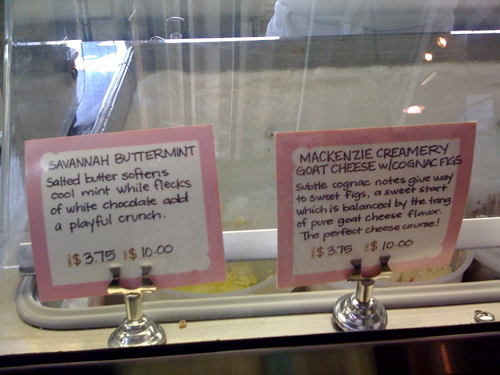 These are two of the flavors I tried, along with a scoop of pear. I really loved the buttermint. 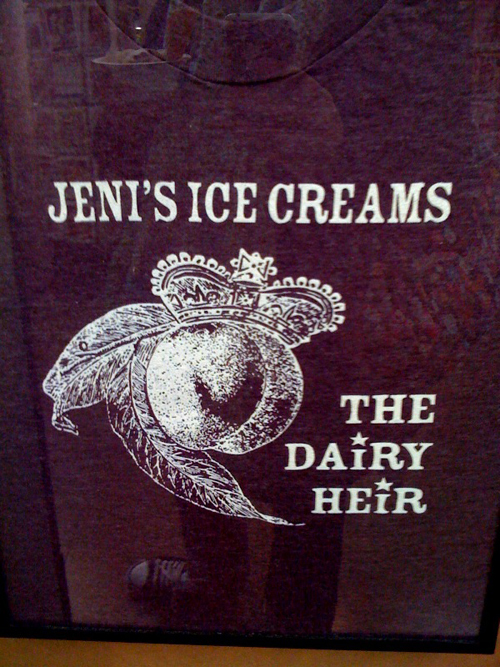 It's not spelled the same way I spell my name, but I loved this t-shirt. I just had to get one! 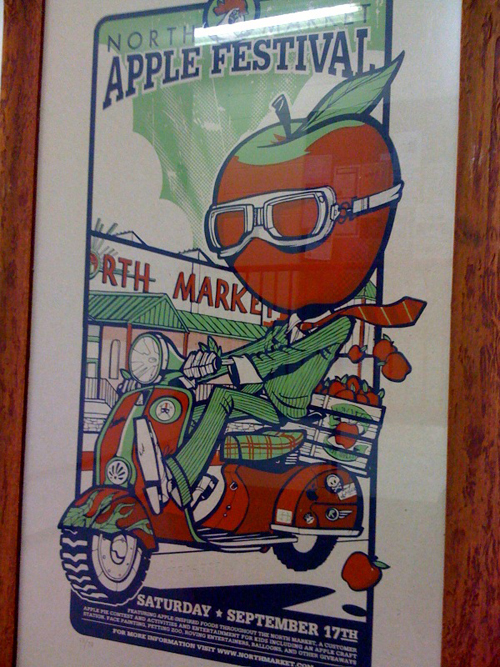 I wish the market had this poster - I think it looks like Aaron. 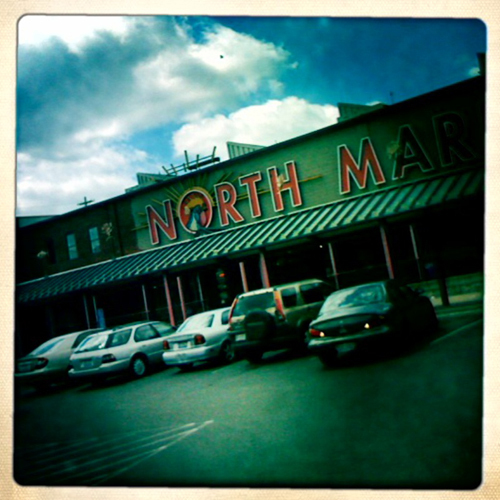 If you are in Columbus, Ohio... you should definitely check out North Market.